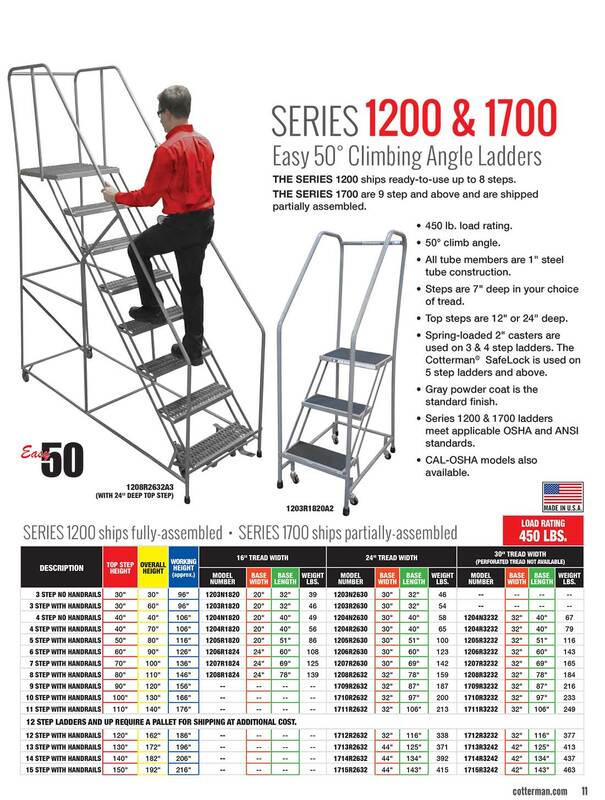 The Series 1700 is the "some assembly required" version of the 1200 series ladders. Built with the same quality construction, the Series 1700 offers a more gradual 50 degree climbing, allowing for forward descent. This ladder has a width of 32 inches, a height of 14 steps, features handrails and A3 Serrated steps. For security while in use, the Series 1700 ladders have the Cotterman Safelock caster system installed. This easy climbing ladder meets or exceeds OSHA 1910.29 and ANSI A14.7 standards.